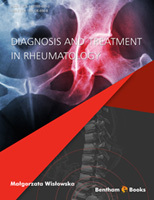 This book has been written to summarize all key rheumatic diseases into one clear and concise reference text, which includes current treatment and statistics in the field of rheumatology. This book presents all up to date information that is easily accessible by medical professionals and students. Emphasis has been placed on precise and early diagnosis of diseases, as well as reports and findings covering current treatments used, as well as alternative therapies which are being investigated. Each chapter has a clear heading and follows a logical pattern of disease definition, clinical features, epidemiology, pathology, diagnosis and treatment, making it ideal to find information quickly and effectively. Students may find this book helpful, as the information is presented in facts, short texts and tables, so that the main features of each diseases are highlighted. This textbook is factual and an easy read, making it ideal in understanding the field of rheumatology, which was after all, the main aim in composing this book. Prof. Ireneusz Kotela PhD. MD. Rheumatology in the 21st century uses current cellular, biochemical and immunologic techniques to explain the etiology of rheumatic diseases. While it is unlikely that molecular biology will differentiate rheumatic diseases into subsets based on their etiology, the genome revolution does provide us with new diagnostic tools, which are already beginning to have an impact. In the past 20 years there have been substantial advances in the field of rheumatology in the management of rheumatoid arthritis (RA), spondyloarthritis (SpA), psoriatic arthritis (PsA), systemic lupus erythematosus (SLE) and vasculitis. Following the introduction of the treatment recommendations for RA in 2016 by the European League Against Rheumatism (EULAR), and the introduction of biological agents and targeted synthetic agents in the management of RA, there is a need to consider the selection of the most appropriate therapy for an individual patient and to review how and when to switch treatments in those patients who do not show an optimal response. Prof. Małgorzata Wisłowska PhD. MD.